London, Sep 21 (IANS) A sixth suspect has been detained over last week’s terror attack on a London Tube train, the Metropolitan Police said on Thursday. Scotland Yard said a 17-year-old was arrested after midnight at a house in Thornton Heath, in south London, which was being searched by the police, reports Efe news. All the suspects arrested so far were being interrogated at a south London police station. “This continues to be a fast-moving investigation. 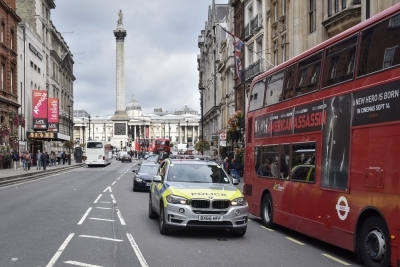 A significant amount of activity has taken place since the attack on September 15,” said Dean Haydon, the head of Scotland Yard’s Counter Terrorism Command. Two suspects, aged 30 and 48, were arrested on Wednesday from the Newport area in south Wales, while another three were arrested earlier, including one in Newport on Tuesday. The first two arrests were made on September 16 when an 18-year-old was arrested at Dover port, and a 21-year-old was arrested in Hounslow, near Heathrow airport. The failed attack took place in a crowded Tube train carriage at Parsons Green station during the morning rush hour. UK lowered the terror threat level to “grave” from critical on Sunday, meaning an attack was highly likely, but not imminent.